What is Tiny Pretty Things about? This book was a drama-filled account of the goings on at an elite ballet school in Manhattan. It follows three characters, Gigi, Bette and June. Each of them have their own motivations and goals that they will do almost anything to attain. I enjoyed reading from all of their perspectives, even though I didn’t really connect or relate to any of them. I did, however, enjoy the diversity in characters that Tiny Pretty Things has. I really loved the setting of this book. It takes place at a ballet school, where the students live at and on top of doing actual school, pretty much dance 24/7. First of all, I have an obsession with books set in boarding schools. But aside from that, I just loved how immersive it felt. I didn’t feel confused or out of the loop because I’m not a ballerina. I truly felt like I was AT the school with them, which was really cool. Another aspect I loved was (of course) the dancing. I LOVE dancing and it was awesome to read a book where that was the main focus. I honestly can’t recall ever reading a book about dancing before and I really enjoyed it. Not only was it fun, but also eye opening. Because you realize the commitment and dedication these dancers put into their sport. How much they put themselves and their bodies through. But it also makes you realize the dangers. The chance of injury. And the sad fact that the things that were going on in this book- bulimia, harassment, and bullying, are not far-fetched. It was pretty sad at times actually. To see girls –who were already beautiful and perfect- starve themselves or throw up their food just to stay the weight that they thought was “beautiful”. The pressure that is put on them –and that they put on themselves- to stay at this certain weight. Several times the weight of a “regular” girl it is mentioned negatively. People express how they would never want to “balloon up to the size or a regular girl”, which just helps you to see with what a different viewpoint these girls see the world. All three of these girls had different issues and things that they were going through. All of them did things that were wrong and treated people badly. But, at the same time, you felt bad for them because it was never black and white. After a while, the drama in the book got to the point of insanity. You just want it all to stop. It escalated to the point where you were thinking “these girls are absolutely NUTS”. But, at the same time, I appreciated it. I felt like that was the goal. They wanted to portray girls with various issues, and show how this competition slowly spiraled out of control to the point where it wasn’t safe. And I really did like the way that they were able to do that. Even if it felt like it went too far at times. I felt like this was a powerful, impactful, and realistic depiction of what can happen in a competitive environment and what happens when things go too far. This book dealt with issues like drug use, alcoholism in the family, racism, bulimia, harassment and bullying, which are not only applicable to dancers, but to teenagers everywhere these days. I really did enjoy this book and what it was trying to show, even if it was painful to read at times. I’d recommend this to anyone who enjoys dancing, darker contemporaries. or books that talk about sensitive issues. 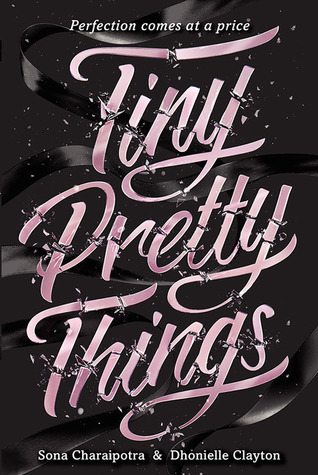 Have you read the Tiny Pretty Things? Did you like it or was the drama too much? Do you think that it did a good job of tackling these issues or that it tried to deal with too much? Let me know you thoughts! This sounds pretty good. I haven't read a bun head book in awhile. I used to read every one that I found. Thanks for your review. I've been eyeing this book lately, mostly because I am a dancer myself, however, only in a recreational sense! I am fascinated by professionally dancers, though. Great review, I'm excited to read this book! I have a review copy of this and I'm really hoping to enjoy this one. I'm happy to see it touches on some issues, gives me something to look forward to. Great review! Olivia is a die-hard book addict, part time band groupie, and full-time fangirl. 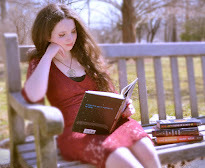 She likes taking long walks on the beach with her book boyfriends and running through the streets of London sleuthing. Join her on her pursuit of amazing books and new fandoms.